Question: Did you check social media at least once this past week? Even if you didn’t, did any of your friends, family or neighbors show you the following picture? Apparently a man from Texas went as far as to tattoo #thedress on his leg. In my opinion, we can never force anything to become/go viral. I feel like with viral content, at least to some extent, there is always an element of “pure randomness.” Who knew a dress would get so many hits? 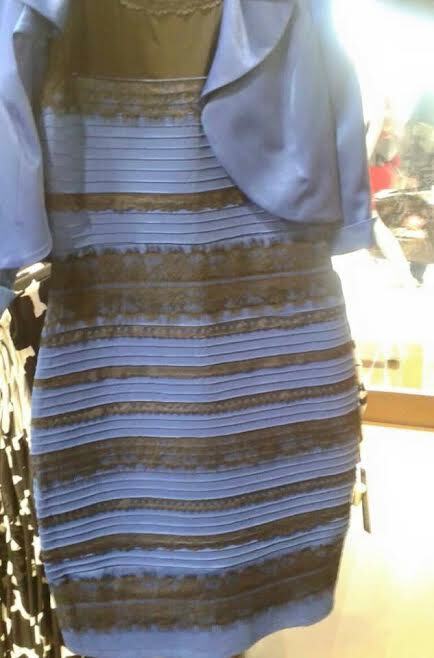 Did anyone predict #thedress to become as big as it did? The answer: no. Inspire awe, laughter, or amusement. Appeal to people’s narcissistic side (think BuzzFeed quizzes). Long-form content has less competition, and more shares on average. List posts and infographics are more likely to be shared. Make sure your article inspires trust. Have a byline, and bio. Make sure you have a professional logo as well. Mix text with visually appealing elements. Implement social metadata such as the Facebook preview image. Reach out to influencers before you write your content. Promote your articles after it’s been published for a week. Tuesday is the best day to publish and promote content. Whether it is a dress or llamas escaping, making something go viral isn’t as easy as it may seem. In my opinion, Kagan’s list does an a great job at scratching the surface, but there is still so much more to learn when it comes to creating compelling, shareable content. What tips or tricks do you use to make your content more shareable?